Posted on April 10, 2018 at 2:18 pm. THE Hard Rock Hotel & Casino Atlantic City has signalled its intention to enter the online realm, signing a deal with software giant NetEnt. The license will see a online casino operate under the Hard Rock brand which will target the regulated online casino market in New Jersey. The Atlantic City Operation has recently been rebranded from the Trump Taj Mahal and has undergone extensive renovations before it’s re-opening in the second half of 2018. New Jersey law dictates that you may only run a online casino in the state if you are partnered with a land-based venue, and wth Hard Rock set to be issued a license imminently it will soon be able to go live. Early indicators are that the casino feature multiple software providers and over 2000 slots, plus a full live dealer suite and many more random games. NetEnt has signalled its intention to enter any regulated markets possible and the partnership with Hard Rock, which has been in the casino business for years, courtesy of its Native American casino properties in Florida. “I am thrilled about the prospects of working together with Hard Rock to offer our award-winning games to their online casino players in New Jersey. Hard Rock has a strong global brand and I look forward to supporting them to grow their new online casino business”, Björn Krantz, Chief Commercial Officer of NetEnt, said. 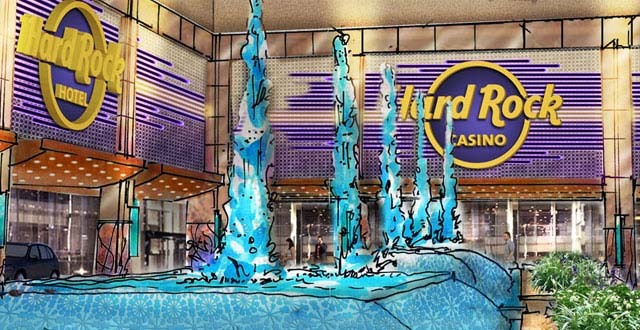 The move from the Hard Rock will bring them in line with other casino operators in New Jersey with online branches, with these including the Golden Nugget, Tropicana and Borgata. “We are delighted to partner with NetEnt, known for its innovative and forward-thinking gaming solutions. NetEnt’s market-leading game titles and digital casino expertise will help us drive online casino growth with our own iconic Hard Rock brand,” SVP Online Gaming at Hard Rock International Kresimir Spajic said.